The Young Professionals Network is hosting a networking Happy Hour . 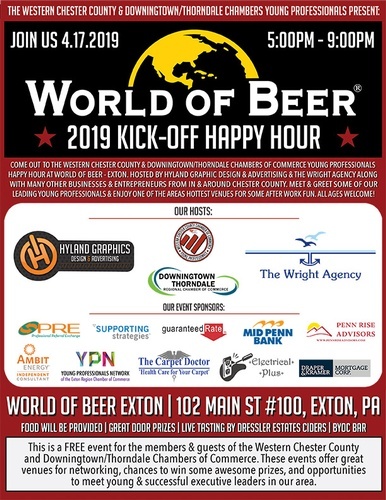 Join the WCC Chamber, along with other business groups for an evening at World of Beer in Exton. LIVE tasting from Dressler Estate Ciders and more. Please let us know if you'll be attending by registering through the red link button above- FREE to attend.